The coverage briefly surges after each mass shooting but quickly recedes. 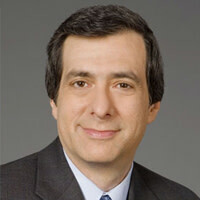 Howard Kurtz on why the press should lead a national debate. One of my television guests didn’t pull punches in the wake of the Connecticut school shootings. “There needs to be a real media agenda here,” Frank Sesno, director of George Washington’s School of Media and Public Affairs, told me on CNN. A media agenda—the phrase sounds like a crusade in which committed journalists won’t rest until politicians are pressured into passing stricter gun-control laws. That’s not how Sesno frames it. Which is precisely what the press has failed to do. The news business, with few exceptions, pays little attention to the gun issue except in the immediate aftermath of the latest mass shooting in Columbine, Virginia Tech, Tucson, Aurora, or Newtown. No less a figure than Rupert Murdoch tweeted about the “terrible news” in Connecticut, asking: “When will politicians find courage to ban automatic weapons?” But I don’t expect Fox News to echo that view. Imagine if the media devoted to the gun issue a fraction of the airtime and column inches lavished on David Petraeus and Paula Broadwell and Jill Kelley. The questions about how to grapple with our gun culture would be inescapable. There was certainly a media agenda during the battle for civil rights in the late 1950s and 1960s. Television helped shine a spotlight on Alabama Gov. George Wallace and other Southern politicians who were fighting to preserve a segregationist society. News organizations were accused of being liberal, but they were on the right side of history in exposing practices that were fundamentally wrong. Rosa Parks’s refusal to move to the back of the bus would have been for naught had the media not made her a symbol of racial injustice. In more subtle fashion, the media have led a national conversation about gay marriage, which as recently as 2004 was deemed politically unthinkable. Now it is legal in nine states, the last three of which adopted new laws in popular referenda last month. Again the press was accused of taking the liberal side, but sometimes that consisted of interviewing newly married gay and lesbian couples, who didn’t seem threatening to anyone. Whether the media changed the culture or lagged it, they were not missing in action. But as they say on Facebook, it’s complicated. Sometimes the weapons used in mass shootings are legally acquired (the assault rifle and two handguns used by Adam Lanza in Newtown were registered to his mother). Sometimes the question is how mentally-ill people got access to guns. Sometimes the possession of guns enables those under fire to defend themselves. At other times there are classic regulatory questions: Should Jared Loughner have been able to obtain 30 rounds of ammunition to kill six people and wound Gabby Giffords, or should there be limits on high-magazine clips? Should background checks be required for purchasers at gun shows? Once Bill Clinton pushed through a ban on AK-47s and other assault weapons in 1994, the media largely lost interest in the issue, even when the Republican Congress let it expire a decade later. Nor did the media make a fuss when the Democrats, deeming the issue a political loser, made no effort to revive the ban in 2009 and 2010, when Barack Obama was in the White House and the party controlled both the House and the Senate. During this year’s presidential campaign, there was one question asked about guns at the second debate. Otherwise, the press followed the politicians’ lead and Etch-a-Sketched the issue off the screen. Most media discussions of the gun controversy begin and end with the NRA, given its legendary clout on Capitol Hill. Police organizations, which favored a continuation of the assault-weapons ban, are given less of a platform. Obama could change the situation, of course, by throwing his considerable weight behind what he described after the Connecticut shootings as “meaningful action.” But since when does the press have to wait for a president’s cue to cover a story? Despite all the tragedies we have collectively endured, there is something about Newtown that has seared America’s soul. Twenty defenseless children were gunned down by a sick individual. It is hard at times to watch the coverage, so raw is the emotion, so deep is the pain. The time is therefore ripe for the media to lead a national debate on how to prevent such tragedies, when the horror is fresh in our minds. I don’t care whether you call it an agenda or a fixation or an obsession. And the press should be fair to all sides. But I don’t want news organizations to lose interest a week from now as the Connecticut tragedy starts to fade, or shy away from a divisive subject because it might alienate readers or viewers. Otherwise the saturation coverage of the young victims will, over time, come to seem awfully hollow.